We are in the midst of the holiday season and many animals are being bought from breeders or pet stores in order to be placed under the Christmas tree, sometimes as an embarrassing and unwanted surprise. They rarely enjoy their new home for more than a few months, after which they are rejected and abandoned, left to perish from hunger and thirst, or to be killed in traffic. Animal Friends appeals to the citizens not to purchase animals, since that way they support the inhumane trade of animals. If they have the right conditions to care for an animal and their entire family agrees, they should rather adopt an abandoned dog or a cat, thus saving someone's life. Animals are not inanimate objects and are no Christmas gift. For that reason, Animal Friends, the Shelter for Abandoned Animals of the City Zagreb, and the City Office for Agriculture and Forestry organize an action to promote animal adoption, with the aim to encourage the citizens of Zagreb to share their home with some of the numerous abandoned cats and dogs. 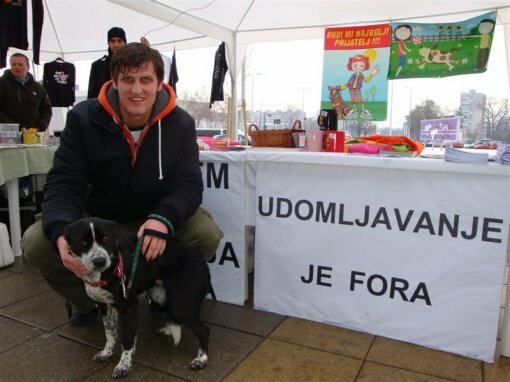 They will be assisted in this by Ivan Banovic, the goalkeeper of the Medjimurje soccer club, who has become famous in Croatia and abroad for his noble act of saving a straying cat from the soccer field during the match between Sibenik and Medjimurje. For his action, Banovic earned a yellow card from the chief referee, while PETA Germany and Animal Friends sent him letters of thanks and congratulation. The action for adopting abandoned animals will take place in Zagreb in front of Avenue Mall, Dubrovnik Avenue 16, on Tuesday, December 22 at 12:00 noon. 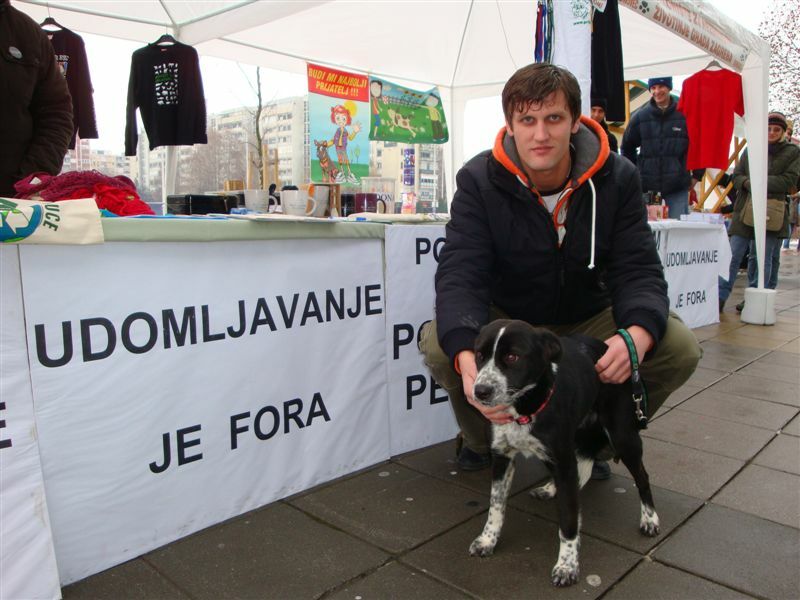 Ivan Banovic will join Animal Friends and the activists from the Shelter for Abandoned Animals in Dumovec in presenting one abandoned animal to the public, thus trying to find him a new home. 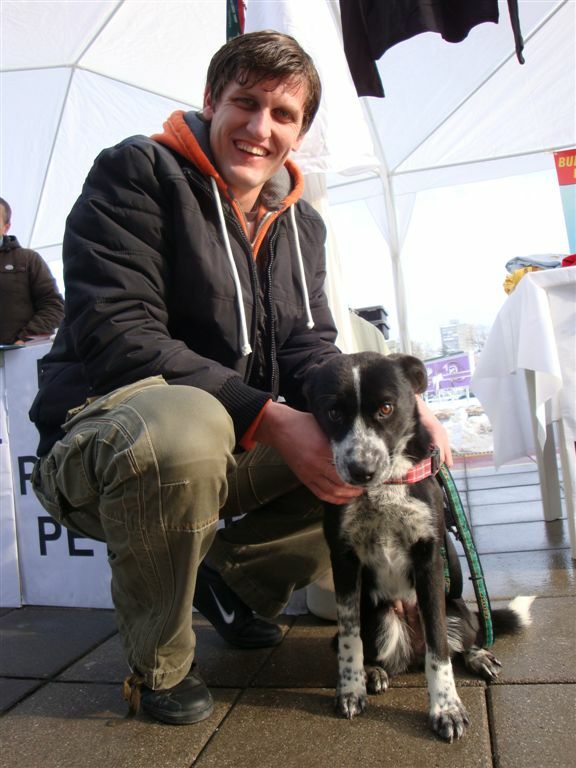 Our info stalls will also be open on Wednesday, December 23 in order to offer information on animals from the shelter in Dumovec. Visitors will also have the opportunity to donate money or food, as well as old blankets and towels. Everyone who has bought or intends to buy a potted Christmas tree is invited to donate it to the animal shelter in Dumovec after the holiday season, so that it may offer some shade to the dogs during hot summer months. Animal Friends is inviting everyone to sign the petition for the change in the Animal Protection Act that would put a final stop to the killing of abandoned animals. 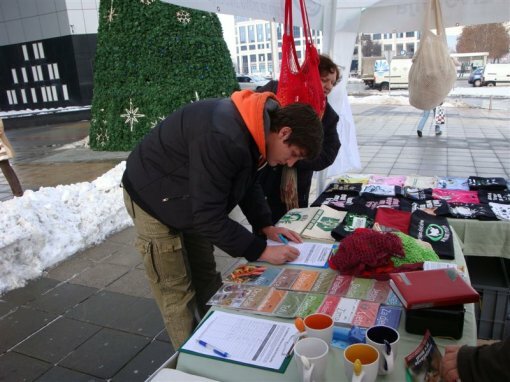 Apart from the info stalls, the petition can be signed at www.prijatelji-zivotinja.hr.